Usually I am way ahead on costumes for the girls, but this year I fell behind. Two weeks ago I double checked what they wanted to be, then started buying what I didn't already have. I thought it would be easy since the Princess wanted to be Rapunzel and she had got a wig and dress for her birthday. Easy, except she changed her mind the second her sister proclaimed what she intended to be. Enter My Little Pony. You remember Boo's obsession with rainbows? When she saw Rainbow Dash on My Little Pony she fell in love. 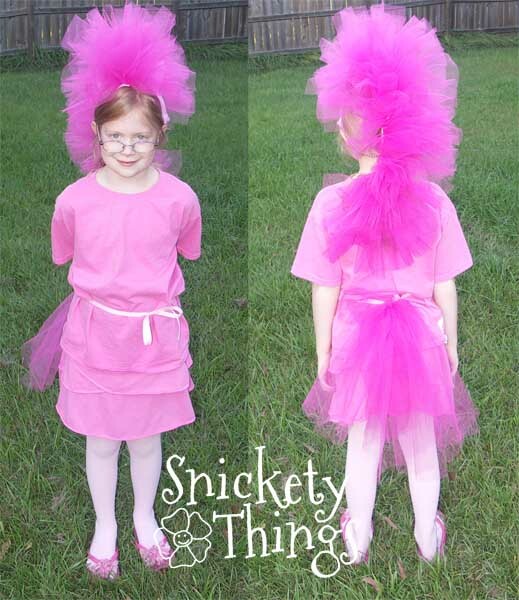 That was what she decided to be and of course the Princess wanted to be Pinkie Pie. That left me with two weeks to make the costume before our first Halloween party. With the events of last week, I was a little behind and a large majority was completed on Saturday before the party. Jeff was a big help. Really, he was. 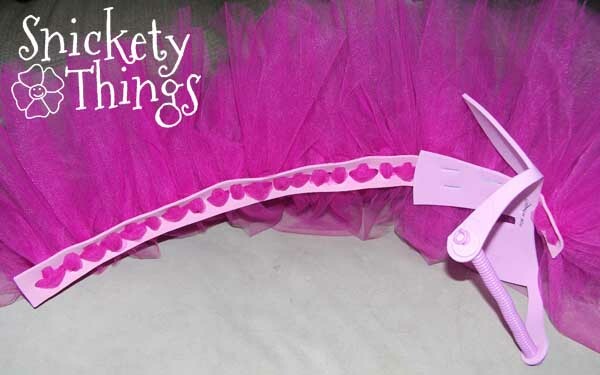 I immediately thought of all the tulle I had left over from Boo's cake tutu so I thought that would be great for the mane, I just needed to get some rolls of pink for Pinkie Pie. 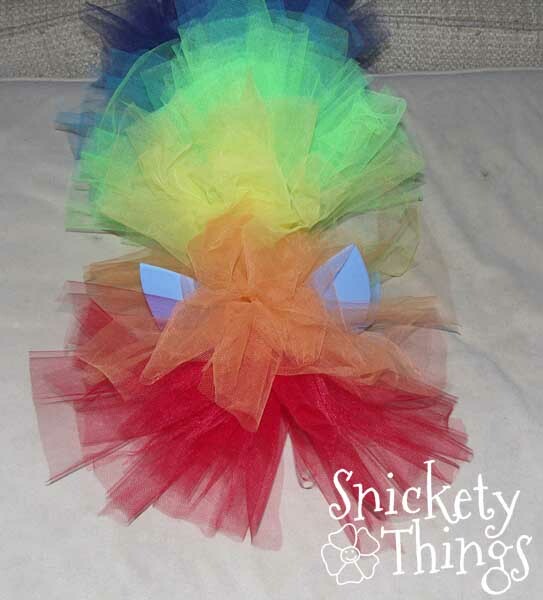 I used one entire roll to make the mane and cut strips from the rainbow colors of tulle I had. 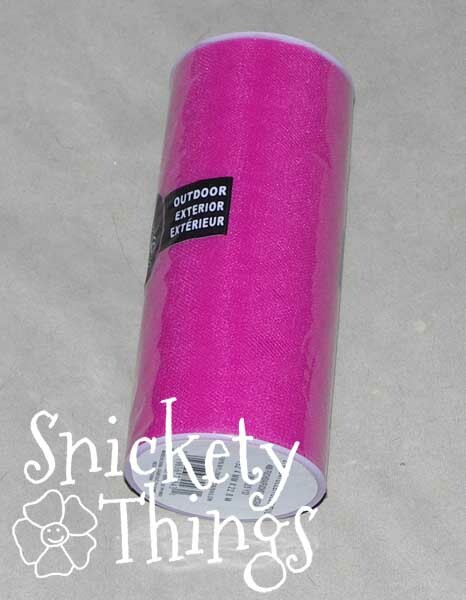 I had bought some of the foam sheets at Hobby Lobby in pink and blue, so I cut a two inch strip from the side of each and used a hole punch to make holes. Both pieces ended up with the hole pattern the pink piece shows. I am also going to mention that putting holes too close together will cause it to tear when pulling the tulle through. You will have to start over (twice!). I cut the strips of tulle to length by using a sheet of card stock because it was what I had sitting close to me I'm resourceful. That gave me a bunch of strips that were 6" by 11". Using a crochet hook, I pulled the strips through the holes. I put three strips through the part that would end up on top of the head for fullness, then only used two going down the rest. You can see how it looked from the bottom here. You can see in the pictures I had attached them to the ears I made. Those are just foam hats from a pack at Hobby Lobby. I just turned them backwards and cut the ear shapes out. I left a strip in the middle of the ears to attach the mane. I used staples for this turning them so the ends were away from their heads. The mane slipped on like a headband, with the back of it going around the back of their head, under their hair. Here are how they looked from the front. The ears just kind of peek through the mane. 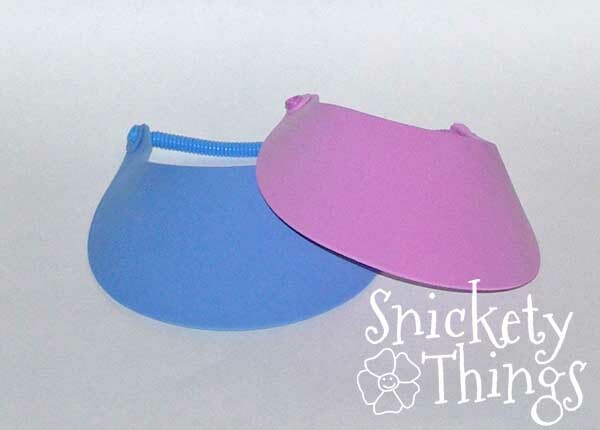 These turned out to be really light and stayed on their heads well. 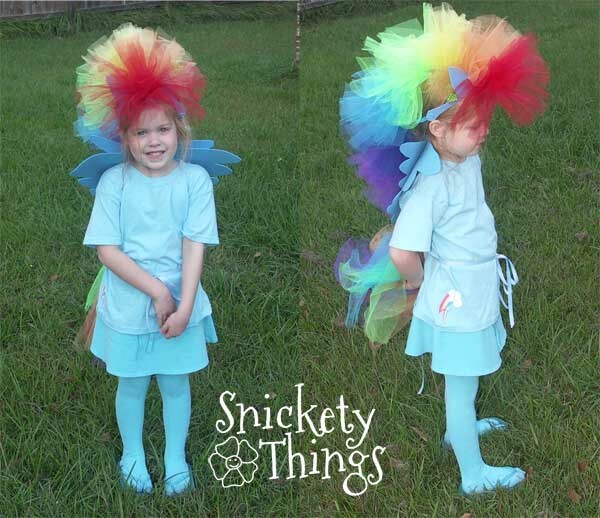 While I was running all of that tulle through the manes, Jeff was making wings for Rainbow Dash. I gave him two pieces of foam and one of Boo's Rainbow Dash toys. 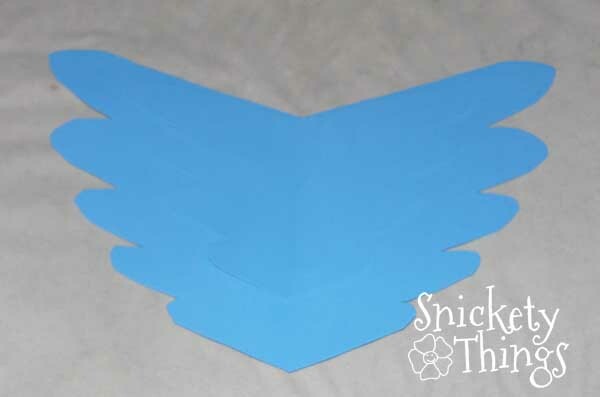 He cut the wing shape out of each piece, one a little smaller than the other. I stuck them together with double stick tape. 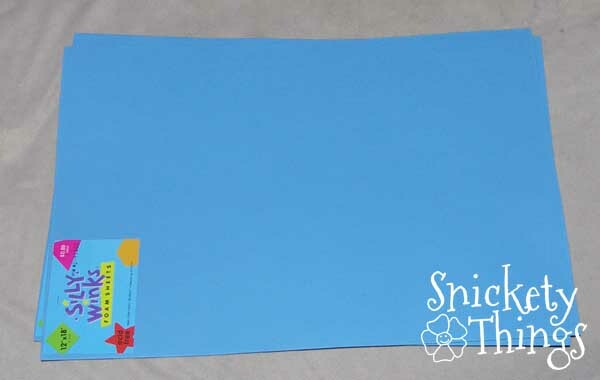 I didn't take a picture, but I punched two holes between the layers and ran a ribbon through them. The ribbon went over Boos shoulders and under arms, then tied in a bow behind her back under the wings. Their tails were just long strips of the tulle tied with a ribbon around their waists (another thing Jeff helped with). 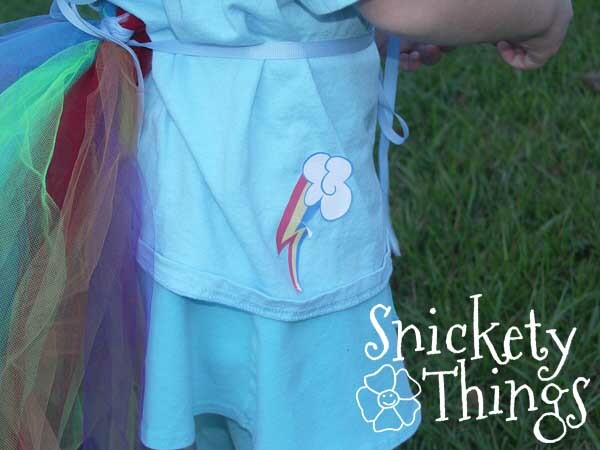 Rainbow Dash was finished off with a blue t-shirt, tights and a skirt that matched (her favorite color so we had them already). The cutie mark was printed on sticker paper and cut out. I just stuck it to the bottom of the shirt. They peel off pretty easily so I will have to print a new one each time they wear the costume. Pinkie Pie was just finished off with pink tights, shirt and skirt. Again, the Princess' favorite colors, so things we already had. I bought almost everything on sale at Hobby Lobby so I spent around $10 on supplies (the foam, hats and the pink tulle). Everything else I had. If you are interested, have a look at the girls' past costumes. 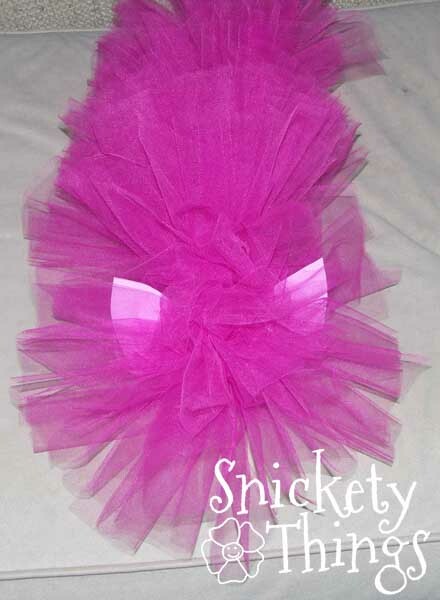 There are some made with tutus, Jessie from Toy Story, Pinkalicious, and Mickey and Minnie Mouse. Tell me what your costumes will be this year. These costumes are just too cute! He could have been Big Mac! Thanks for stopping by! I love the pony costumes. They are so cute. I am visiting from the Beyond the picket fence under $100 party. I am your newest follower. 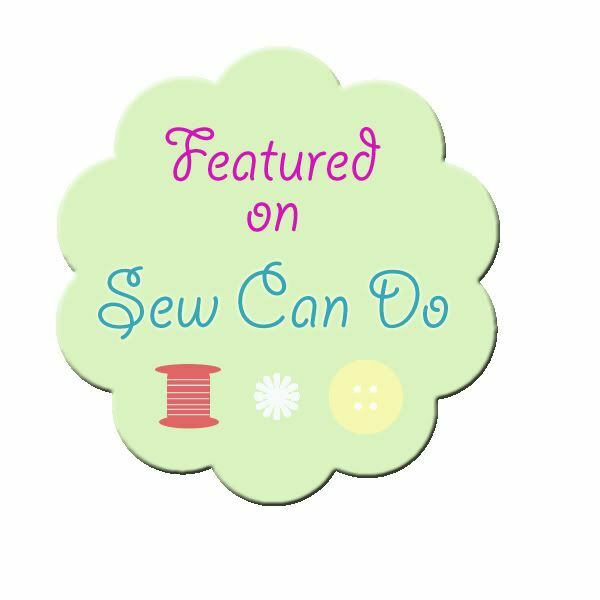 I would love to invite you to check out the Nifty Thrifty Family. I will come check you out, thanks for stopping by! What a great idea! 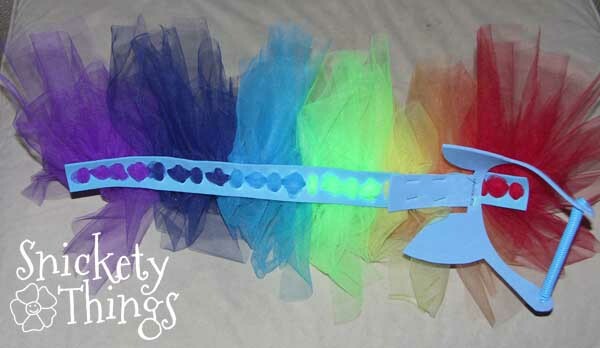 My girls will love seeing these as they love My Little Pony. Great job! Why don't you dress up you! So cute!! Very creative idea!!!! Apple Jack would be really easy! I bet yo ave some of it around your house already. Ohhh, I am SO happy I saw this. 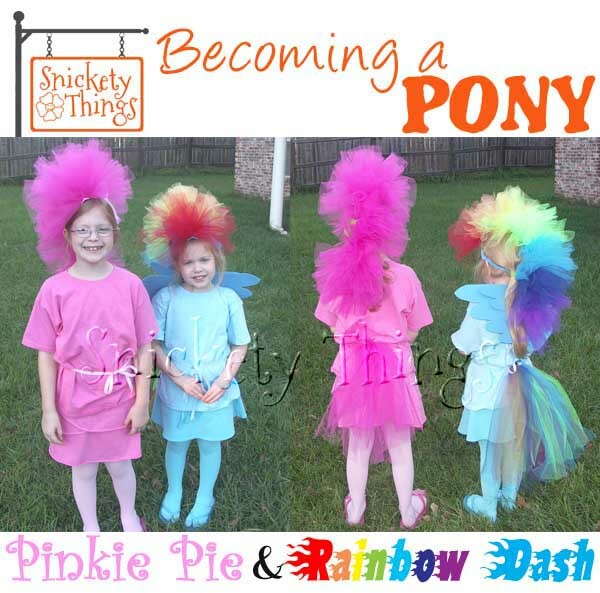 My almost 5 year old proclaimed the day after halloween that next year she wanted to be My Little Pony....and I was like.....ahhhhh, I don't think Mommy can sew that. HA, I guess now I can....chances are she will change her mind a 100 times but at least I am prepared now. Thank you!